Sometimes a long running series will slowly develop its characters and build up the world and treat viewers to a major pay off in the second half. 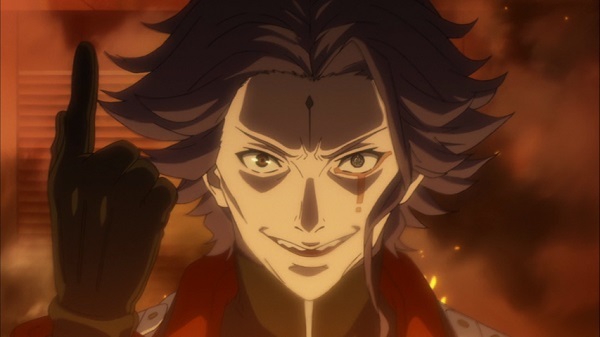 Guilty Crown: Part 1, our review of which can be found here, managed to overcome a few of the numerous clichés that populated its first eleven episodes and gave viewers a gorgeously animated series accompanied by an amazing soundtrack. However will Guilty Crown: Part 2 manage to take advantage of everything built up over its first half or throw it all away and go a different route? Since the first half of Guilty Crown left off just as Shu was about to save the day and put a stop to the Anti Bodies’ plan of using a modified version of Inori’s song to trigger a second Lost Christmas level infection event. 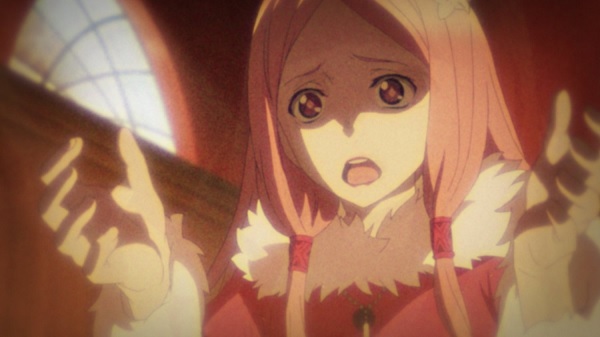 However just before he managed to reach Inori, a mysterious person, sharing the same Kings power as Shu, appears, takes Inori hostage and sets Guilty Crown on a rocky path that only ends up as a disaster. With the appearance of the person known as ‘Grave Keeper,’ Inori is transported to an area where she is being held hostage. Shu is then, oddly enough, forced directly into a flashback sequence where he begins to remember more about his past. Everything hinted at in the first half of the series is suddenly thrust into the light as it is revealed that not only was Shu part of the Lost Christmas outbreak, his own sister, Mana, happened to be patient zero of the Apocalypse Virus. To add some more complication to the already convoluted story, Gai also happened to be childhood friends with both Shu and his sister Mana. It turns out that Inori is the key to reviving Mana and bringing about a fourth apocalypse which will advance man-kind to the next stage of evolution, but Shu manages to prevent the revival of Mana at the loss of his leader. Despite what may be seen as a win for Funeral Parlor and the group, things only manage to get worse for Tokyo as the entire area affected by the most recent virus outbreak has been quarantined and sentenced to death. As Shu, Inori, Ayase, Tsugumi and Shu’s friends and fellow students take refuge in the school, Shu reveals his abilities to his comrades and begins to lead the group in what becomes a worthless situation upon the death of a close friend of Shu’s, turning him down the path of a cruel dictator, throwing human lives away as he sees fit and sacrificing the weak for the strong. Despite his best efforts however, a familiar ally returns from the dead only to become the most dangerous threat that Shu, Funeral Parlor, and even the world has faced off against so far. With an extinction level apocalypse on the rise, Shu must gather himself up and set down the path to the end. If that sounds a bit difficult to follow, it is likely thanks to the fact that everything established and built upon over the first half of Guilty Crown is almost immediately thrown away once Guilty Crown: Part 2 begins. The various hinted elements are thrust in the viewers’ face immediately while the writers must have suffered mind whiplash with how fast they managed to throw random elements and twists into the storyline. 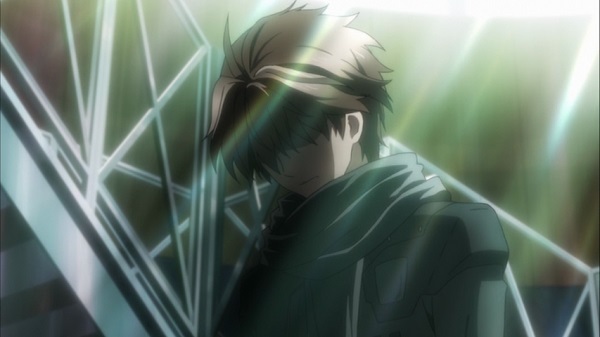 Immediately after the initial info dump that throws the series into the deep end, Guilty Crown settles into slower pace to focus on explaining more about the Voids and Shu’s abilities as they grow. However any character growth hinted in the past is dropped as the writers manage to take what may have been an interesting setting and squander it by simply causing human suffering and showing how terrible the characters in the series can be, then immediately throwing it, and previously developed characters’ development and emotions, away in an effort to launch the series into its finale. Shu’s emotional roller coaster throughout the second half of the series sees him go from an observer trying to make ends meet with his friends in a bad situation, to a confident leader attempting to soothe the cares of his fellow students, to a psychopathic dictator ready to throw away the lives of his allies, a reversion to his whining self, and finally a stoic martyr ready to take on anything that may come his way if it means protecting those close to him. You have to give the series credit for at least attempting to force so many hardships on its lead character, but when viewers care little for said character, it is hard to really care what happens to him as numerous twists, some completely out of left field, are thrown at their faces. While Guilty Crown: Part 2 does manage to end the series in a way that answers some of the viewers’ numerous questions, such as the origins of the Apocalypse Virus and more info about Shu’s past and his relation to the events in question, it does so by dumping so much info on the viewer at various intervals while wasting time in-between with numerous useless twists. 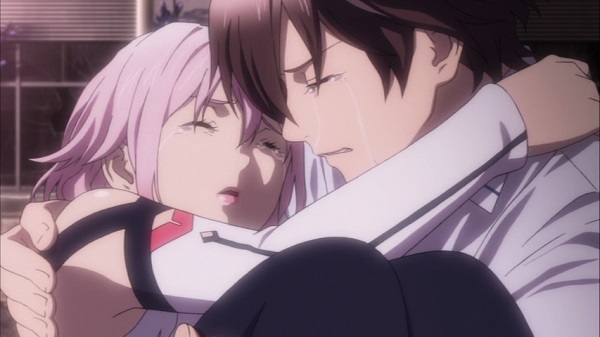 While emotional at times and numerous scenes will likely pull at the heart-strings of viewers, Guilty Crown manages to abolish any semblance of a coherently told story by introducing numerous plot twists and revealing rather pathetic character motivations in an effort to try to wrap up everything up with a giant knot. If there is one thing that manages to stay true in Guilty Crown: Part 2, it is the visual splendor that is the series’ animation and design. Character designs are still nicely detailed and gorgeous looking with great variations in their designs and coloration. Some of the slower moments of the series, mostly during the quarantine arc, suffer in drops in quality, though these moments are usually made up with an excessive level of detail on important dramatic sequences, making these scenes memorable for their visual quality alone, to say nothing for the way they are actually handled by the writers. With a large number of Voids on display in Part 2, the various battles that take place in are simply over-the-top as far as quality is concerned. Each battle sequence is fluidly animated with plenty of action happening on screen at any given moment. Combining the series’ impressive character designs with it’s gorgeous battle sequences creates visual feasts that will appear time and time again throughout the second half of the series. Since Guilty Crown: Part 2 takes a darker, more emotional turn, many of the English voice actors have to display a wider range of emotions in this half of the series and I must commend Austin Tindle for portraying Shu’s emotional journey well through his voice, while the rest of the cast handles their roles nicely with the addition of numerous bit characters sounding natural. 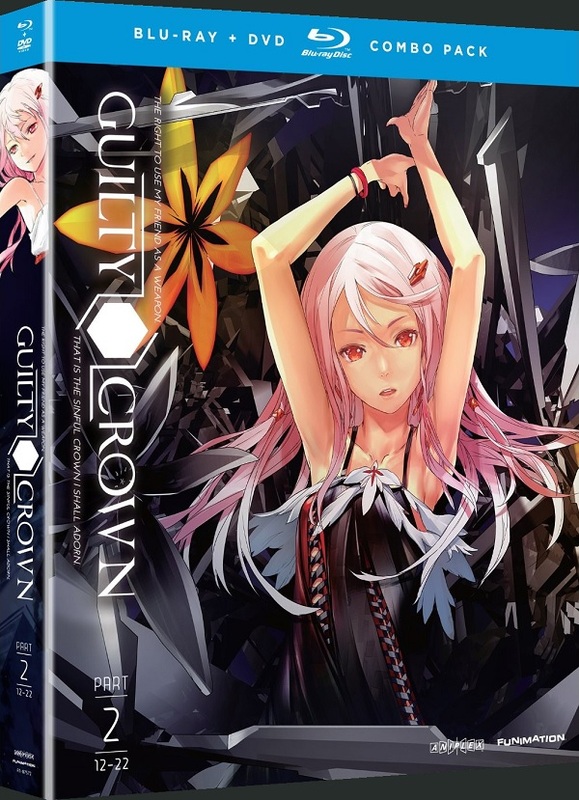 Since Guilty Crown: Part 2 can be included with the Limited Edition version of Part 1, it features a reversible cover art featuring Tsugumi and Ayase that works better for the collector’s set. As for the rest of the bonus content, it is all featured on-disc this time around with standard inclusions such as textless openings and closing themes, a US trailer, episode previews and other trailers for FUNimation products paired alongside Japanese bonuses. These Japenese bonus features include Guilty Crown: Reassortment which is video that presents the entire first eleven episodes’ plot condensed down into a forty seven minute video, which would leave viewers with a great starting point to Part 2 if they simply wish to dive right in. Also included is more of Guilty Crown 4-Panel Theater which features chibi gag sequences with the cast. Also included on-disc are two episode commentaries, with episode 15’s commentary featuring Apphia Yu, the voice of Kanon, Tia Ballard, the voice of Hare, and Jarrod Greene, the voice of Arugo as they discuss various elements of the episode and themselves. 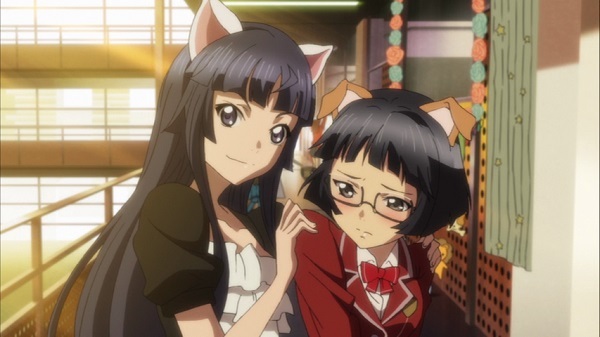 The second track is for episode 19 and features Martha Harmes, the voice of Haruka, Caitlin Glass, the voice of Arisa, and Corey Cleary-Stoner, the voice of Souta. Guilty Crown is a series that reeks of wasted potential. It manages to find solid ground to stand on in the first half of the series, despite the numerous clichés that that ground is built on but ultimately throws it away with numerous twists and nonsensical plot shifts. While Guilty Crown’s action sequences are fantastically handled and the entire presentation of Guilty Crown, from its gorgeous visuals to its wonderful soundtrack, is breathtaking to behold, it isn’t enough to save what ultimately becomes a jumbled mess that attempts to right itself at the end only to leave viewers with thoughts of what could have been.